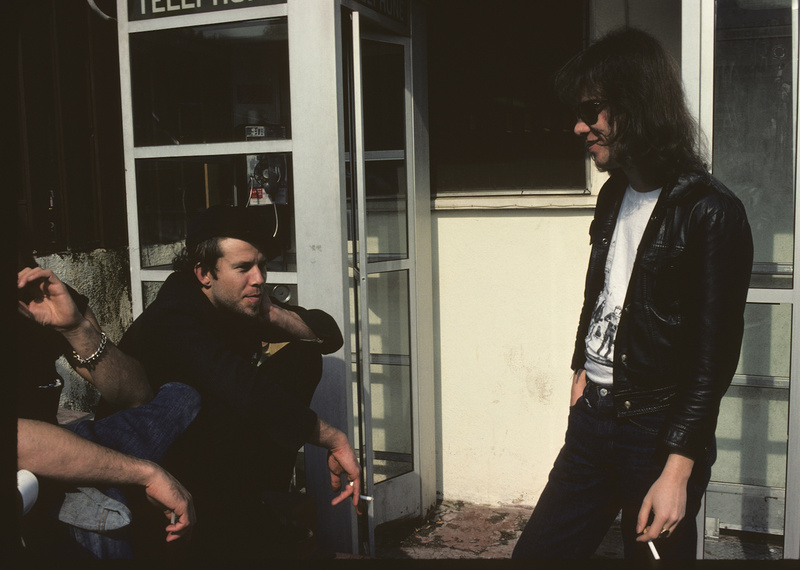 Do you see that phone booth in between Tom Waits and Tommy Ramone? That was everyone's office at the parking lot of the old Tropicana Motel in West Hollywood. The Ramones and other bands loved to stay there. Tom Waits lived there full time. One day, I was in London and I called the phone booth collect to check in with my pal Rodney. The British operator did not have a clue that it was a phone booth and when she asked Rodney if he would pay the charges, he simply said "yes". You could never pull that off today.